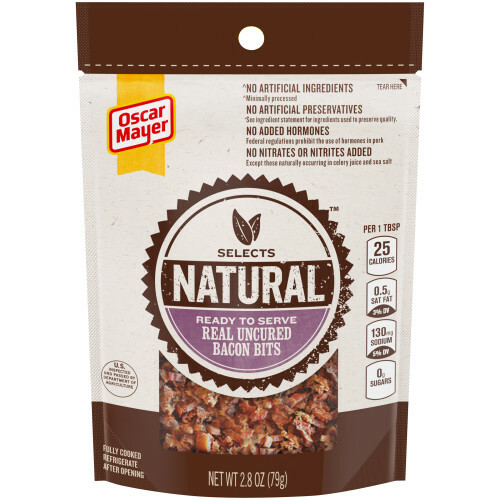 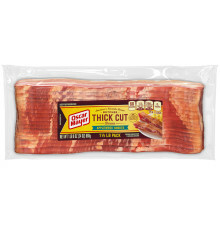 Made with real slices of Oscar Mayer Natural uncured bacon, these Natural Uncured Bacon Bits have endless possibilities and no added nitrates and nitrites or artificial ingredients. 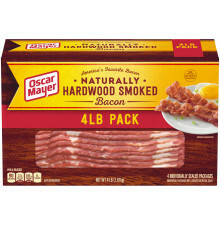 From salads to baked potatoes to nachos and more, you can add the smoky bacon you love to any dish! 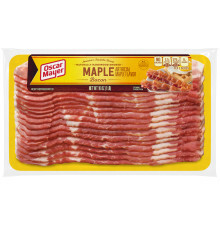 PORK, WATER, SEA SALT, SUGAR, CULTURED CELERY JUICE*, CHERRY POWDER *INGREDIENTS TO PRESERVE QUALITY.